Fall and early winter is college scholarship application time at Girls Inc. The Girls Inc. national organization sponsors a competition which awards scholarships ranging from $5,000 to $20,000. Last year, three girls from Girls Inc. of Alameda County were honored with scholarships and we are extremely proud of them and their achievement! This year, 14 girls from Girls Inc. of Alameda County applied. To be finalists, they all participated in a rigorous three month application cycle. In September, any interested high school senior starts the process with an orientation where, with support from Girls Inc. staff and essay mentors, they review the application calendar and strategize on how best to showcase their growth and development over time, and future plans. In October, girls are matched with volunteer essay mentors drawn from Girls Inc. staff, volunteers, and board members. Girls dedicate significant time to the process and meet with their mentors three times to write and refine their essays. 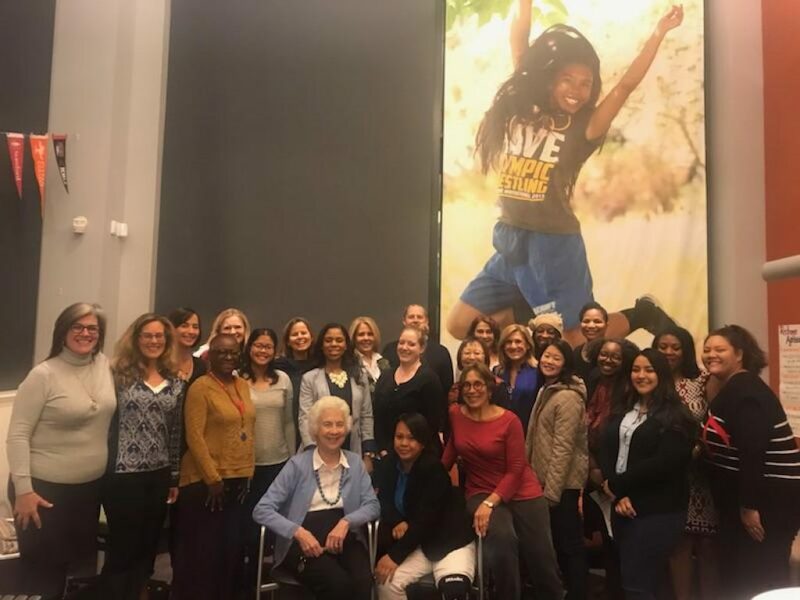 In November, candidates submitted their final essays to Girls Inc. of Alameda County to be judged by a panel, who recommended the five finalists to proceed to the national competition. This year, we were honored to have more than 50 volunteer judges invest their time. The panel was drawn from a dedicated group of investors, board members, alumnae, and community volunteers. The girls’ achievements, dedication, perseverance, and future hopes and dreams shine through every word. The panel had an incredibly tough job selecting the finalists, as so many of the essays were excellent. Congratulations to the finalists Samantha A., Emani J., Kerry L., Vanessa M., and Tiffany T! Girls Inc. national will release the winners in February 2019 and at our SSB Luncheon in April of 2019 we look forward to inviting some of our finalists to speak and share their stories and accomplishments.